Keane criticised Nani for his red card against Real Madrid earlier in the week. OVER THE YEARS, Roy Keane has developed a reputation as an ultra-disciplinarian, and last Tuesday night following Manchester United’s controversy-laden Champions League exit was no exception. Speaking on ITV after the game, Keane reproved his fellow pundits, Gareth Southgate and Lee Dixon, for having the temerity to even partially disagree with him on the Nani sending off and was equally harsh on the player himself, blaming the winger entirely for the incident that changed the game and deriding him as “not the bravest player in the world”. In Keane’s eyes, Nani had failed to live up to the near-impossible standards the Cork native sets for himself and others, and was duly punished as a result. The moment upheld the stereotypical image of Keane as a hard man and a perfectionist, both as a player and pundit, not to mention a manager, whereby some critics suspect the severity of his nature ultimately proved his undoing. But Keane is far more interesting a figure than the stereotypes imply. He remains as enigmatic and unpredictable an individual as the man who divided a nation over the infamous events of Saipan back in 2002. If he was simply a ‘headcase,’ as some have suggested, it is doubtful that he would provoke as much interest and debate as he continues to do. Perhaps one of the most fascinating aspects of his persona is the manner in which he has undergone somewhat of a personality transplant over the years. While the former Ireland captain, with his obvious no-nonsense attitude, may currently seem to be the antithesis of modern-day bad boys such as Joey Barton, it is far from fanciful to picture a younger Keane and Barton as kindred spirits. It is only circa Saipan or shortly before then that Keane appeared to acquire his ice-cold countenance. Before then, he was a relentless troublemaker, as recounted in this fascinating documentary. Back in the first-half of his football career, he barely resembled the impeccably self-controlled individual he has become. Instead, he was having to be bailed out of jail by Alex Ferguson and getting sent-off in games on an all-too-regular basis. Yet as his career developed, something changed in Keane. Some may regard it as him developing a belated level of maturity, but surely the transition was too drastic for it to be that natural. The regularity with which he was receiving red cards lessened, his body started to look noticeably more chiselled and he was captaining both his country and Manchester United with distinction. In a relatively short period of time, he had developed from someone who teammates acknowledged had great difficulty handling his drink and a near-pathological tendency to seek out trouble to a player who swiftly became regarded as the epitome of the model professional. He consistently demanded the type of exemplary standards he had previously failed to meet himself, and consequently became widely regarded as Alex Ferguson’s on-field incarnation, with his zen-like concentration and exceptional leadership capabilities. And these skills have been transferred, albeit less than seamlessly, to football management and now punditry. He has gone from an overly enthusiastic and troublesome party boy to a man both feared and respected in English football circles – the sporting equivalent of George W Bush in some ways, Keane eschewed the fecklessness of his younger days to acquire an imperious reputation. So regardless of whether you like Keane as a person or not, irrespective of your thoughts on his Saipan and Nani-related stances, it is surely impossible not to at least admire the level of self-improvement he has undergone in recent years, seemingly instigated through sheer force of will. And while he may no longer be as much fun on a night out, this change invariably makes for great TV, as last Tuesday illustrated. Email “Analysis: Roy Keane may not be a better pundit than a player, but he's certainly a better person”. 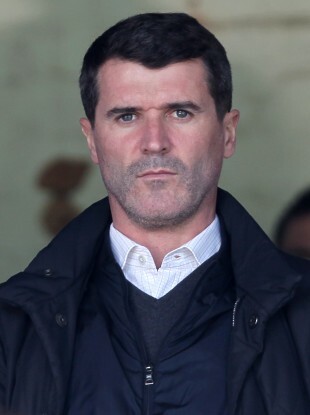 Feedback on “Analysis: Roy Keane may not be a better pundit than a player, but he's certainly a better person”.